This basin units is perfect for any bathroom with its hidden storage great for all your eye sores like tooth brushes and toilet roll. 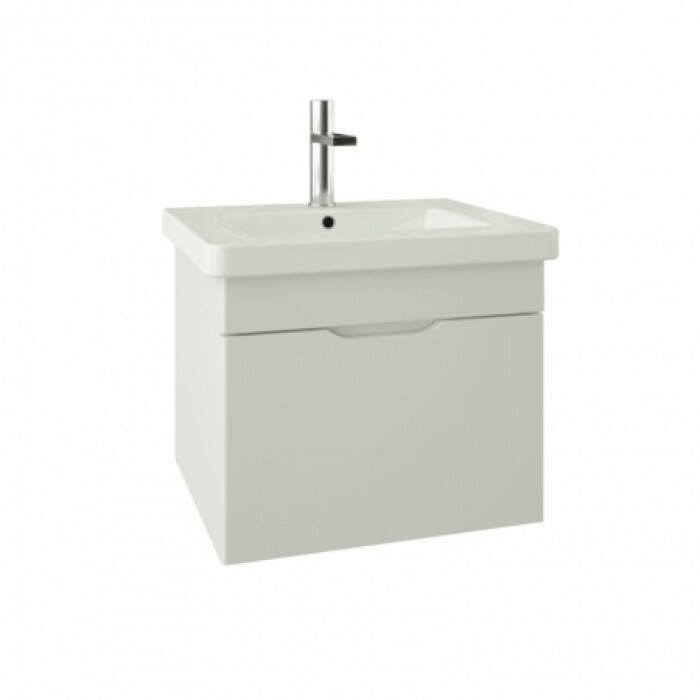 Made from the best materials, we highly recommend this unit for your bathroom. The natural finish and build of wood is perfect for bathroom storage units, available in a variety of shades. This product is modern in style and will bring your bathroom into the 21st century. White is the universal colour for bathrooms. Embrace the clean, fresh simplicity of white; a look that that wont look dated in a few years time. Gloss finishes offer a gleaming shine to a plethora of bathroom products, offering tolerance to the steamiest of bathrooms. Saneux are innovators of designing inimitable bathroom fixtures and furniture inspired by British trends and European craftsmanship to deliver everyday practicality and comfort for the bathroom.